This little guy is a convention exclusive variant of Rimfire, the Masterpiece style Target Master included with X-Transbots MX-II Andras. 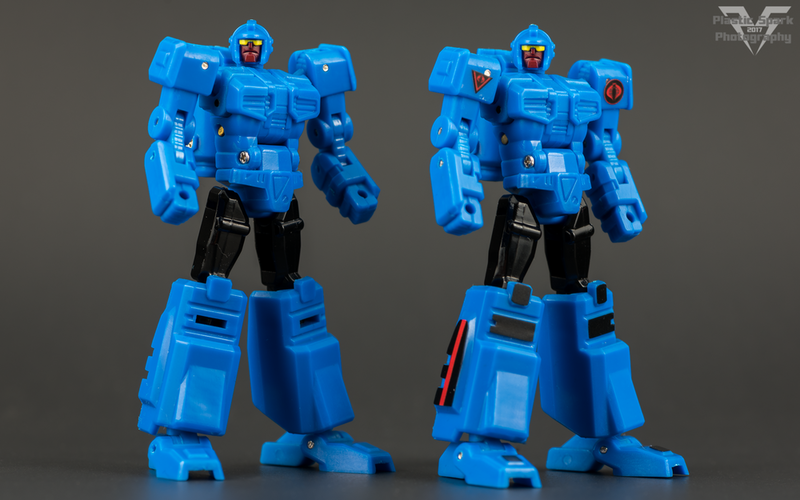 This guy is actually the predecessor of Rimfire, as it turns out, as he was produced and released prior to XTB's Scourge-alike. This little guy is incredibly poseable and a ton of fun to play with. If they could have included a bicep swivel this bot would actually be darn near perfect! 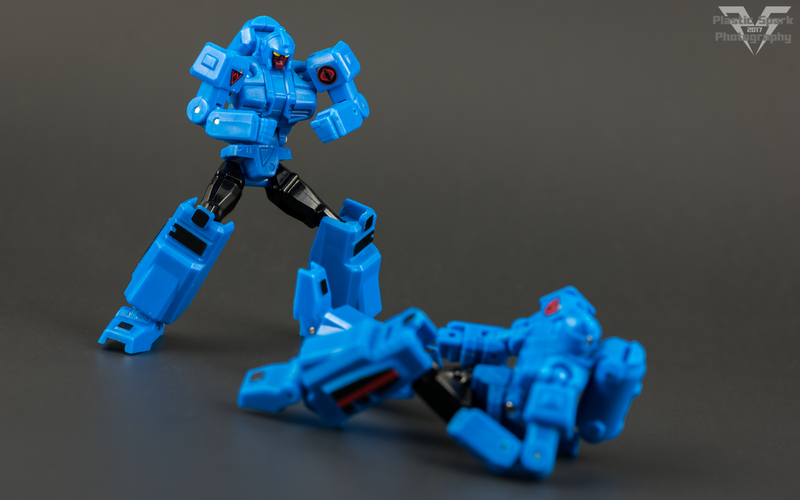 You can even cheat and ab crunch using his transformation joints! His gun mode is... well, let's not talk about it. It's kinda gun shaped. It's not great. One thing that is really awesome though is that the handle is designed to tab into masterpiece style hands, but also is the exact right size to fit into 5mm peg holes as well! You can use this guy with your mainline bots as long as you don't mind him being massive. Also included are sticker sheets to add a little bit of detail on the legs, and a number of different shoulder emblems including Decepticon insignias, and Cobra decals. Highly recommend these little guys as an add on to an existing purchase, or a convention pickup for a decent price. 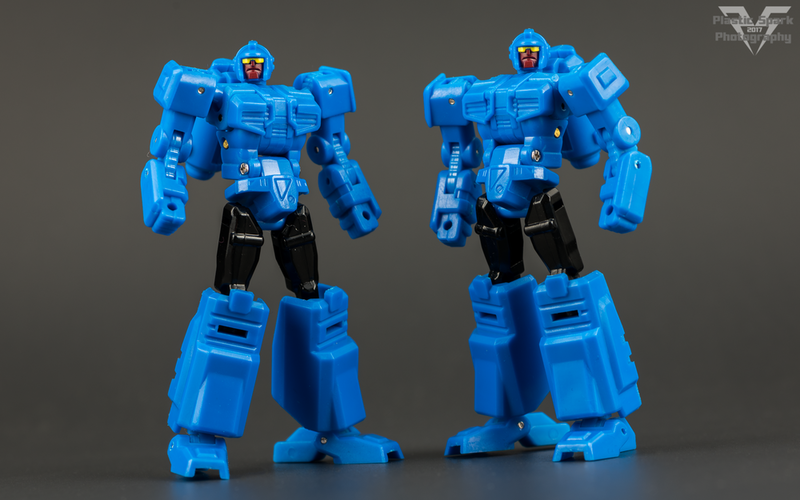 I got these two from Madhaus Collectibles, an awesome Canadian Transformers vendor out of Ontario. Go check out their Facebook page and toss a like on there!